Maybe you are in the position of you don’t know what you don’t know. Maybe you are tired of the doing it yourself and need some expert advice. Maybe you already know what you need, but you just don’t have the time to implement it. We are here to help. We are Zoho Consultants, certified as Zoho ONE specialists, which means we are experts in almost all of the Zoho apps. We are also certified as Zoho Advanced Solution Partners (only four in the US). We can work with you as an Expert to help you sort through your options or if you are tired of the Do-It-Yourself marathon, we can act as Project manager and just take over to get everything set up just like you like it. We start with a discovery meeting to determine what your needs are and then plan the project from there. You can read more about our 5-stage process. We can also work Collaboratively with you, where you take care of some things and we handle the others. Some clients like to look over our shoulders as we perform the customization work so they can see how it is done and understand the logic of the design. However you would like to work, we are there for you. If Training is what you are looking for, then look no further. 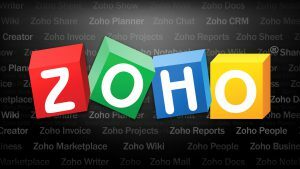 We are Zoho experts and have been training end-users how to use software since 1987. We’ve authored books on CRM and served as Subject Matter Experts on Zoho and other software offerings. While we are glad to take care of everything for you, our goal is to enable our clients to ultimately be their own administrators and to become self-sufficient. Start with Zoho CRM’s free help which you can find in the upper-right corner under Tools, Contact Support, Chat with us. The Tech Support team usually responds to your live chat in less than a minute or two.When asking your questions, it is important to be as clear as possible and use Zoho terminology as much as you can. You could also check out our blog and sign up for our newsletter. Maybe you could use a couple of free Cheat Sheets to help you learn the product better.